Not every story that finds its way in the media deserves the musical treatment. But when you find one that does, boy can it be good. 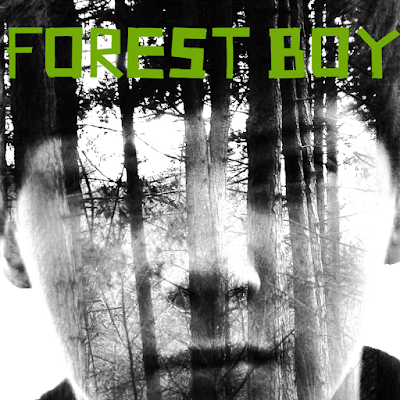 Enter Forest Boy, the little indie musical that could. The experimental musical is based on the true story of a boy who winds up in Berlin after claiming he lived in the forest with his father for five years. With book and lyrics with Scott Gilmour and music by Claire McKenzie, this movement-based musical thrives from start to finish. Spanning a number of years in the media, Forest Boy follows the titular character on his fantastical journey after finding himself in Berlin. He’s believed to be a minor and an orphan and thusly placed in custody of the state. Through forest story and interviews, the truth of Ray’s tale unravels. Forest Boy is not your typical musical. There are no flashy production numbers. The story is a mysterious. So why does it work? Because it’s refreshing. Claire McKenzie’s score has a theatrical skeleton with a folk sound. You can imagine Mumford and Sons tackling some of these songs. Even if you took a peak at the extra program with the timeline of the show, the spoilers only helped the intrigue as the curiosity of how Scott Gilmour was going to tackle the story. What he has offered is a beautiful story of a young man’s earning for a father and son relationship. Sure, when Ray and his father are in the trees looking out on the forest you can’t help but think of Simba and Mufasa, but the foundation is genuine. As fictitious as the bond was, it was still something of beauty. Running only a quick ninety minutes, Gilmour could easily explore a bit more on the post revel psyche of Ray, or Robin as he is revealed. Whether it’s lack of tangible material to draw from, summing up the aftermath in a monologue isn’t nearly as satisfactory as you’d hope. The more experimental approach to the staging of Forest Boy worked greatly in its favor. Director Robert McQueen and movement director EJ Boyle manufactured a fluid robotic vocabulary for the ensemble to move within. Rather than create a vast forest of trees, scenic designer Ann Beyersdorfer allowed a bed, a desk, and some chairs to do the trick. And it worked! The way this piece moved was fantastic. McQueen infused theatricality into Ray’s fictitious world yet maintained a sense of durability in the real world. While defined, lighting designer Ed McCarthy explored what it feels like without lighting the back during the real world scenes. And it was effective. The blackness added an ominous boost. Though the ensemble played multiple roles, the base costumes Leonard Augustine Choo dressed the company in lacked a bit a desired cohesion. With the exception of Ray’s father, they didn’t all necessarily live in the world of this play. It was a reserved performance but it surely did the trick. As Ray slash Robin, Will Connolly represented solitude. While it was very much an internal performance, Connolly gave this lost boy promise. There’s no denying what this character did was morally right but you empathized for Connolly’s Ray. Christopher Russo was the epitome of idyllic father. Strong, steadfast, and heroic, Russo helped drive the piece. Russo and Connolly worked well as a unit. Aside from father and son, the remainder of the ensemble gave Forest Boy vivacity. But if there was one vocalist who rose to the top is was Sabina Petra. Her solo “Beneath the Falling Skies” stopped the show, and possibly time itself. It was truly a stunning moment. The amount of heart and passion in this vocal was boundless. The first thing Ray said when he was discovered was “I’m alone in the world. I don’t know who I am. Please, help me.” It’s a beautiful thematic foundation for this musical that is poignant. No matter who you are, you can identify with Ray’s story. Sure, the kid made a bad decision but we’ve all gone to the extreme to escape from something. This may be a musical from across the pond but let’s hope that someone wants it to stay here.